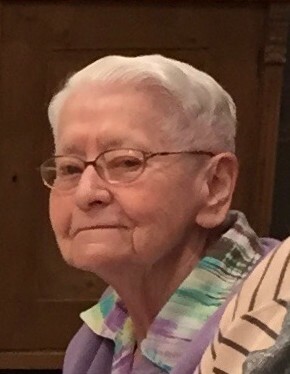 Rosemary J. Strand, 86 of Elkhorn, WI, passed away on March 22, 2019 at Holton Manor in Elkhorn, WI. She was born July 15, 1932 in Sharon, WI, the daughter of the late Lester and LaVerna (Brunner) Schuld. Rosemary married Arnold J. Strand on May 28, 1955 in Sharon, WI. After 47 years of marriage, Arnold preceded in death on August 19, 2001. Rosemary was an active member of First Evangelical Lutheran Church of Elkhorn and the Ladies Aid. She volunteered with Meals on Wheels for many years. Rosemary enjoyed playing cards and traveling with Senior Travel Club of Walworth County. She was a member of Golden Agers at the Moose Lodge in Harvard, IL. Rosemary is survived by her Aunt Marge Birk, God son, John (Tami) Utesch, their children Zach and Erin Utesch, many nieces, nephews, and dear friends; Doris Salem, Sandy Walter and Rodney (Barbara) Baerbach. She was preceded in death by her parents, husband, Arnold, brother, Clifford and sister, Shirley. Funeral service will be 11:00AM on Thursday, March 28, 2019 at First Evangelical Lutheran Church, 415 Devendorf St. Elkhorn, WI. Visitation will be 10:00AM until service time Thursday at church. Interment will follow services at Mt. Pleasant Cemetery in Tibbets, WI. In lieu of flowers, memorial may be directed to Meals on Wheels, P.O. Box 1005 Elkhorn, WI 53121. Online guest book at www.haaselockwoodfhs.com. Arrangements for Strand Family handled by Haase- Lockwood & Associates Funeral Homes and Crematory of Elkhorn.